Motion sensor security cameras can offer you much more accurate alarms, compared with those motion activated IP cameras using video frame comparison to trigger alerts. You won’t be bothered by flying bugs, winds, etc. The following complete guide will answer all your questions about motion sensing security cameras: types of motion detectors & how they work, best picks, proper installation, and troubleshooting. There are 4 main motion sensor security camera types, including PIR, microwave, ultrasonic, and dual-technology types. You’ll get deep insights of the 4 motion sensing security cameras types below. Nowadays, the majority of motion sensor security cameras use PIR technology to detect motion events. PIR is the acronym of passive infrared. It’s a kind of highly effective, cost-saving technology to detect motion events by monitoring the changes of heat in the monitored areas. Unlike those traditional motion detection security cameras relying on algorithm to calculate the video frame change, PIR motion sensor security cameras detect the changing of temperature in the detecting areas when intruders break in. When an intruder enters the detecting area of your motion sensor security camera recorder, the intruder can give off infrared energy (heat) which cannot be seen via human eyes, but can be picked up and sensed by the PIR motion sensor. 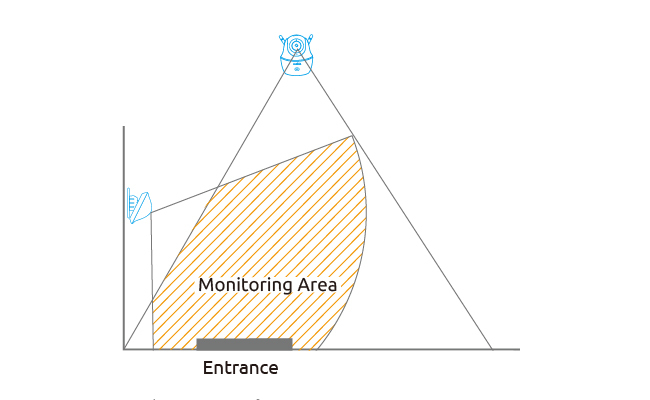 The PIR sensor can compare the previous temperature with the new state (when the intruder enters the detecting area), calculate the changes and trigger the alerts. If you want to know more about PIR cameras, you can read this post written by Lindsay, Reolink’s professional tech editor. Most battery powered security cameras with motion sensors use PIR technology, since PIRs are power-saving, which can free you from frequent battery replacement. Microwave detectors in motion sensor security cameras are a kind of active device. The microwave detectors transmit high radio frequency (Doppler) and then detect the level of the energy reflected back to the microwave sensors. In other words, microwave motion sensor security cameras work by detecting the frequency change in the detecting area. When the frequency hits a moving object, the frequency changes and the motion detectors are activated. Please note that the microwave detectors can penetrate building materials and are able to see through walls. Therefore, you may get more false alarms. For example, moving tree branches may trigger alerts. Ultrasonic motion sensing security cameras and systems are working similar to the microwave type. The ultrasonic motion detector IP cameras emit high-frequency sound waves (cannot be heard by human) and work like a boomerang — the waves are sent out and then be picked up by the sensors, reporting any suspicious when the waves hit the moving objects. Dual-technology motion sensor security cameras combine multiple sensing technology into one detector, which can reduce false alarms. For example, many dual-tech motion sensors combine PIR and microwave sensors into one unit. Both sensors need to be triggered for motion events to be detected. You can take a look at the below chart to get the main pros and cons of the 4 types of detectors used in motion sensor CCTV security cameras. Pros 1. Offer much more accurate alerts. 3. The PIR technology is quite mature. 2. Can penetrate the building materials. 2. Can penetrate the building materials. 1. Offer the most accurate motion alerts. 2. The dual-technology sensors are not that mature to some extent. From the above motion sensor type comparison, PIR motion sensor security cameras are undoubtedly the best type to choose. When you need to buy the best motion sensor security cameras and systems for your home or car, you need to focus on the following important features. Before purchasing home security cameras with motion sensor, take the below important features into consideration. When you need to install your motion sensor security cameras outside, remember to pick one with weatherproof rating. For example, IP65 weatherproof motion sensor security cameras are a good choice. The solid housing can protect the camera from dust and water jets. You can check the water test video of Reolink Argus® 2 IP65 weatherproof IP camera to see the durability. Night vision is indispensable in your motion sensor security cameras. There are 3 main types of night vision security cameras. Traditional night vision security cameras: Outdoor & indoor motion detection cameras with traditional night vision can only see in low-light condition. Infrared night vision motion sensor security cameras: Infrared motion sensor security cameras can see in low-light conditions or even totally darkness, with the built-in IR LEDs around the camera lens. If you want to know more about infrared security cameras, you can read this post written by Reolink’s senior tech editor, Jenny, who’s been in security camera field for over 10 years. Starlight motion sensing security cameras: Starlight security cameras can make the most use of the natural light to produce extremely clear night vision images and videos with the specialized sensors. FYI: Some outdoor motion sensor security lights with cameras can also offer you night vision images. The floodlight will illuminate the scenes and then the camera can see the area that’s lit up. However, the resolution of such devices is still limited at night. You cannot count on them to identify license plate numbers. Currently, IR night vision is the most popular among security cameras with its cost-saving and efficiency, while starlight security cameras will become a new trend with its outstanding night vision quality. You can watch the video below to see how an infrared motion sensor security camera performs at night (shared by a customer). Motion sensor security cameras with SD card can help you get local storage even without Internet. You don’t need to rely on NVR, DVR or your computer to store the data. Motion sensor security cameras that are battery powered can offer you video surveillance for your property without power and Internet access. You still get important video tapes when you monitor your remote property, such as your rural home, barn, farm, etc. When you need to get a remote motion sensor security camera for your iPhone or Android smartphones, pick one that comes with a compact app. Take Reolink App as an example. You can enable or disable the motion sensor simply by a tab on your iPhone or Android mobile phones. You can also remotely watch and manage up to 16-channel live streaming of your security cameras. The interface is extremely simple and intuitive, even your grandma can use it without any problems. When buying the best motion sensing security cameras for your home or business, just bear the above features in mind, and then you are gonna get the most suitable one. You can consider the below outdoor and indoor motion sensor security camera top picks, so you don’t need to waste your time on the camera-search stuff. The motion sensor security camera best picks below are customers’ favorite cameras, and got high praise from editors of top-tier media. 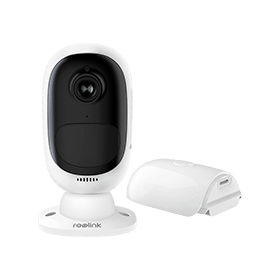 Reolink Argus® 2 small motion sensor security camera got featured in over 35+ top-tier media, including Yahoo Finance, CNET, Market Watch, TechRadar, Tech Advisor, PC World, etc. In CES 2018, Reolink Argus® 2 was rewarded as the “Innovative Product 2018” by Indiegogo. You can check this Reolink Argus® 2 motion sensor security camera review for full details. See how authorized author assessed Reolink Argus® 2 security camera. You can also watch the below review video shared by an experienced tech Youtuber to get Reolink Argus® 2 impressive features. 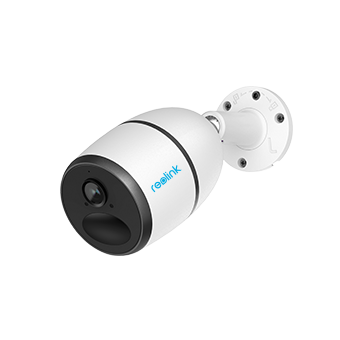 Reolink Go 4G/3G rechargeable battery powered security camera uses the advanced PIR motion sensor, offering you much more accurate alerts. You can access the camera remotely even without WiFi connection and power supply! You can even record your own alert message and get notified with it when motion events are detected. Discover more excellent features of Reolink Go motion sensor security camera in the video below. There are wide ranges of motion sensor security cameras for your choice, including expensive, cheap, big and small motion sensor security cameras. You can buy the above excellent motion sensor security cameras on security camera online store in UK, US, Canada, Australia etc. or you can search more motion sensor security cameras on Amazon, Lowe’s, Walmart, Costco, etc. Editor’s Note: Avoid using motion sensor fake security cameras. They won’t save your budget in a long run. If there is a break-in, the dummy motion sensor security camera cannot record any evidences for the later investigation. The placement of your motion sensor security cameras can make a difference on effective motion detection alerts. Here are some helpful suggestions on your motion sensor security camera & system installation. The biggest advantage of all in one motion sensor security cameras is its simple installation. You can just place it anywhere you like (for battery powered security cameras), and all is done. If you have PoE or traditional wireless motion sensor security cameras, you can power them via the Cat5 or 6 cables (for PoE type) or power cable (for traditional WiFi type). After powering your motion sensor security cameras, the installation process is done! If you own a motion sensor security camera or system with external sensor, you need to make sure that the monitored area is covered by your camera and the PIR motion sensor at the same time. It’s better to install your PIR motion sensor to stay away from wireless interference, or it may impact the WiFi signal between your PIR sensor and your camera, NVR or DVR. Make your PIR sensor stay away from the outlets, such as the air conditioner vents, humidifier outlets, etc., or it might lead to false alarms. It’s not suggested to install the PIR motion sensor facing the mirror. The mirror might enable your PIR motion to work ineffectively. It’s not advised to install your PIR sensor facing the sunshine or bright light, since it might trigger false alarms. Below are some effective solutions to some common issues you may have for your motion sensor security cameras. Solution 1: Check whether you’ve activated your PIR sensor on your app. Sometimes you may just forget to enable the PIR sensor. 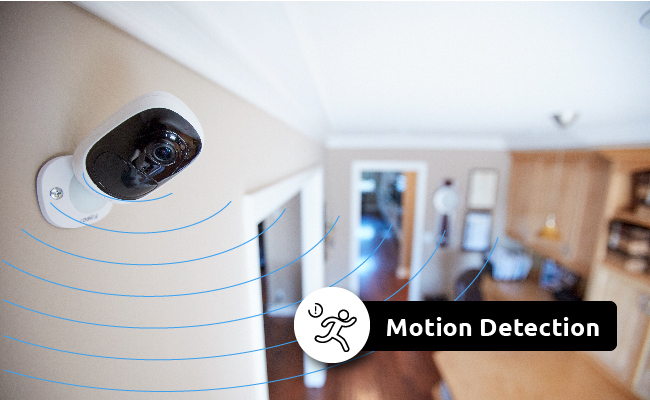 Solution 2: Change your motion sensor security cameras’ placement. Avoid placing motion sensor security cameras behind the glass window. Here is a post that offers effective solutions to fix motion detection not working. Solution 1: Check the placement of your motion sensor security cameras. Some everyday items in your yard or front door may give off motions and trigger alerts, such as windmills, naughty cats, dogs, etc. You can choose another suitable position for your motion sensor security cameras. Solution 2: Lower the sensitivity of your motion sensor security cameras. Highly sensitive motion sensor security cameras sometimes may pick up some unnecessary motion events, such as changing lights of the sun. Hint: Check the top 5 solutions to false alarm solutions for your motion sensor security cameras. Solution 1: Check the WiFi range between your router and your motion sensor security cameras. If there are any obstacles, such as walls, they will affect the WiFi transmission. Solution 2: Change to another WiFi signal channel. In some cases, a WiFi channel would be too crowded for your motion sensor security cameras, you can adjust to another signal channel to get much more stable WiFi signal. You can get more solutions to fix your IP camera WiFi issues in this post. If you have any questions on motion sensor security cameras, please leave them in the comment below! This entry was posted in Buyer's Guide and tagged motion sensor, PIR, security cameras, smart motion detection. the appwork very well, so even if you aretravellingyou cn access to your cam and discuss with people at home. A feature could be add. When your smartphone (you indeed) are leaving the house, the PIR sensor could be started automaticaly. And in the same waywhen you are coming back home the PIR should be shut down. Thus you know that when you are away, your house is under control. Glad that you enjoy Reolink Argus! You can share some nice videos captured by Reolink Argus with us by join in #ReolinkCaptures program to get a coupon for your future orders. I purchased the 2 Argus cams and they have been great. We did not mount them as we have found it is nice to be able to move them around. We can also take them to other locations and run them from our hot spots if we need to which is even something we did not plan on but has been a bonus. Now that we have figured out how to work the scheduling our battery issue has been resolved since we have dogs and so they would run all day long recording movement. Picture is great and it is fun to talk to the dogs while at work as well. 🙂 Will be buying a few more. Hi Dori, we are glad that you enjoy Reolink Argus. Reolink now is launching #ReolinkCapture program. You can share some excellent videos captured by your Reolink Argus and submit to us. And you will get a coupon once your video is submitted! You can share this with your friends! Hello Gillinano, you can also enable or disable the push alerts of the C1 camera via the app easily. 1. Please click the “Device Settings” button after you’ve accessed the camera. 2. You can enable or disable the push alerts via just a tap on the “Push” button. If you still have other tech questions on the C1 motion detection camera, please send an email to our tech support team via email support@reolink.com. Hello there, the camera will function even without being connected to the mobile devices. The camera will detect the motion events and record the videos to the SD card. When you connect the camera to your mobile phones, you can see the recorded videos as well as remote live streaming whenever you want. Any model come with voice communicator? Hello Abdul, do you look for a security camera with two-way audio/communication?